Simply put, a Vitamin Drip is an intravenous infusion of a combination of vitamins, minerals, and water. One of the most common combinations in a drip is known as a “Myers Cocktail” which traditionally includes B-Vitamins, Vitamin-C, Calcium, Magnesium, and Water. Why get a Vitamin Drip? The rational for receiving vitamins and minerals intravenously is to be able to precisely control the quantity and type of ingredients, and be able to bypass the need for gastrointestinal absorption. Vitamin Drips are the most direct and controlled way to deliver vitamins and minerals, making it a powerful treatment option for individuals who have gastrointestinal concerns, nutritional deficiencies and who have trouble taking supplements. Who benefits from a Vitamin Drip? Intravenous (IV) infusions of vitamins and minerals have been used to treat a broad range of conditions including: fatigue, migraine, asthma, allergies, fibromyalgia, depression, and cancer. Although these infusions have been in use since the 1950’s, only recently are we starting to see some well-controlled clinical trials investigating vitamin infusions’ possible benefit. Some of the preliminary research has demonstrated benefit for fatigue, fibromyalgia, and cancer. Personally, I have seen the greatest benefit in individuals who appear to be “depleted”, whether from a large amount of stress (physical or mental), a long standing illness or a nutritional deficiency. Where can I get this done safely? Administering an IV safely requires specialized training. Naturopathic Doctors, Medical Doctors, and Registered Nurses can undergo special training to be able to safely administer substances intravenously. 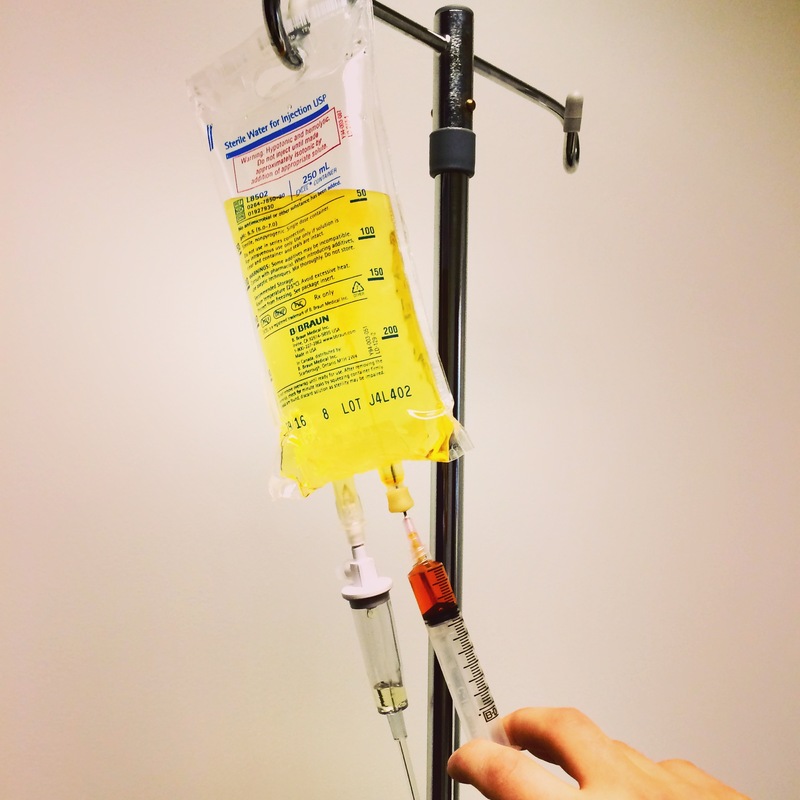 Some good questions to ask your IV therapist are: Are they certified for IV therapy? How long have they been practicing IV therapy? What are the risks and benefits? A well-trained IV therapist will be able to make your vitamin drip experience gratifying and virtually painless.